Our goal each and every day is to recognise and inspire students interested in STEAM, or Science, Technology, Engineering, Arts, and Mathematics. We help them gain the skills necessary to further their interests. Such skills include robotic design and construction, computer sciences, public relations, time-management, and organization. In doing so, we provide these students with opportunities they would never have seen otherwise, we give them a chance to get a feel for what it would be like to live everyday doing what interests them. We strive to teach, to learn, to build, and to overcome obstacles through teamwork, hard work, and compassion for a better community and a brighter future not only for ourselves but for everyone we come in contact with. Our team motto is "Building future leaders of tomorrow", and so we take each day at a time and follow one simple rule: "Work hard, play even harder, but above all, be committed to EXCELLENCE!" FRC® Team 314, The Megatron Oracles, was founded after winning a grant from it's first partner, Delphi Automotive. In it's first year, the team was a finalist at the Philadelphia Regional Event, a finalist at the Great Lakes Regional Event, and a semi-finalist at the Chief Delphi Invitational Event. Even before then, the team hosted two FLL® tournaments, a practice tournament, and the other, a qualifier, as well as the FLL® State Championship. Delphi Automotive discontinued it's partnership with the team in hopes that it would be able to find a replacement on it's own. Shortly after, the team did find a new partner, the GM Truck Assembly Plant. The team also won the Best Team Play award. The team won the Best Sportsmanship award at the Great Lakes Regional event, and competed in the West Michigan Regional and National Championship events. The team competed at the Western Michigan, Great Lakes, and Buckeye Regional events as well as the the Championship event. Still not quite winning it, the team was a finalist at the Chesapeake Regional Event and a semi-finalist at the Canadian Regional Event. But things were about to start looking up for the team. The partnership with the GM Truck Assembly Plant ended and was reforged as one with GM Flint Tool and Dye, a new partnership was created with SpenTech Machine Engineering Corporation, and Delphi Automotive returned as a partner providing mentors and machining services. The team was asked to join the NASA team in Eliminations and won the Southern California Regional Event, qualifying them for the World Championship Event for the first time in the team's history! Shortly into the new season, the team lost SpenTech Machine Engineering Corporation's partnership, but a new one was made with New Technologies Inc.
At this point, the team was proud of it's family tree with eleven FRC® Teams throughout the state of Michigan. It has touched and inspired countless FLL®Teams at the various tournaments we hold. This was one of the team's best years yet. It's founder, Dr. William "Doc" Welch, won the Woodie Flowers award at the Detroit Regional. The team's greatness continued to climb, as this year, it won the Gracious Professionalism award at the Detroit Regional. The team's leader at the time, Sally Male, was one of three people who contributed to restructuring the entire tournament system within FIRST®; that same system is still used throughout the state of Michigan. That summer, the team moved it's home from the CA Middle School woodshop to the CA High school woodshop. A nicer fit they thought. In the next few years, fifteen states and a country would adopt the new tournament system the team's leader helped create. 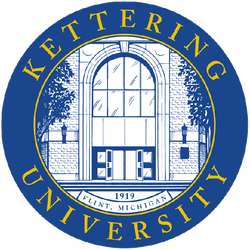 At both competitions the team participated in, the Traverse City District and the Kettering University District, it won the Website Excellence award. Sadly, the team would lose that website in the coming years; but that has not stopped it from rebuilding it bigger and better. 2010 was a sad year for the team: it lost it's head coach and engineering mentor, Sally Male, due to her work schedule. The team's robot each year was starting to get a reputation for being overweight and oversized, leading to it's nickname, "Big MO". Many teams started referring to The Megatron Oracles as Big MO, not knowing that Big MO was actually the name of the robot. The team truly pulled together as a team and came back from the previous year's loss. It built a robot that worked in every match and never had any major breakdowns at two competitions - something the team hadn't seen for quite some time. This was a year of change on the Megatron Oracles. The team had to move once more as the High School was to bring back it's woodshop class. It spent the summer gratefully working with FRC® Team 2337, the EngiNERDS until it found it's new home at Carman Park / Baker Academy. The team restructured, regrouped, and came back with a bigger, better family, a whole new attitude, and a new vision for the future. It competed at three district events this year - winning the Gracious Professionalism award in Detroit - and qualified for the Michigan State Championship event. The Team continued to grow this season. Competing in three district events, it qualified once again for the State Championship; But when we thought our season was over and we were packing up to leave the State Championship, the last team was called on the list of Teams who qualified for the World Championship Event. The team ranked 46th in it's division at World's and continued to plan for bigger and better things to come. Just as the team planned, the 2014 season turned out even better than the last. It participated in three districts once again, winning the Quality award at the Kettering District, WON Kettering and Livonia, and took it to the finals at Lansing where we won the Chairman's award. Once again the team qualified for the World Championship, but not as the last team on the list, but by WINNING the State Championship! Yes, finally State Champs! At World's, the team ranked 12th in it's division and plan to go even further next year! No matter what the team has done or plans to do, none of it would be possible without each and every team we meet, the people we know, the parents who support us, and the partnerships we form. Big MO thanks you all for being there through it's journey! Our team planed for a great season just like the last. This one we had brought home 3 Blue banners all of them district wins. The districts that we went to are Kettering District, Great Lakes Bay Region District, and last but not least Lansing District. As our season continued we went to states at the State Championship we placed 12th place and made it to och-to finals are alliance being alliance #11.